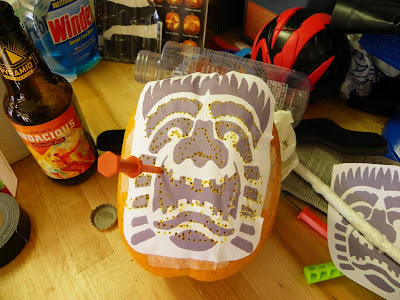 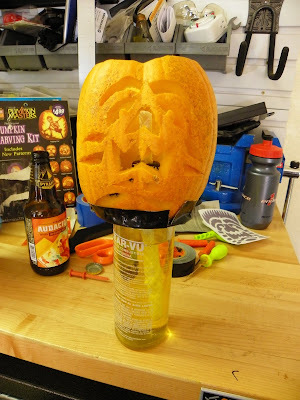 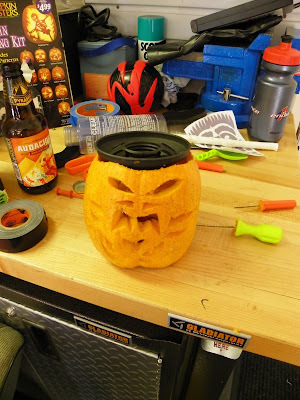 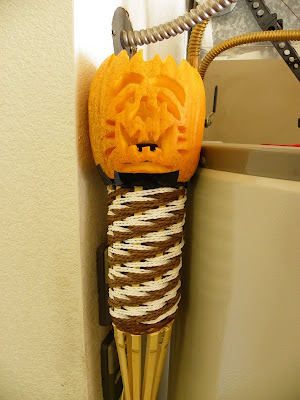 Build your own "Tiki O Lantern"! 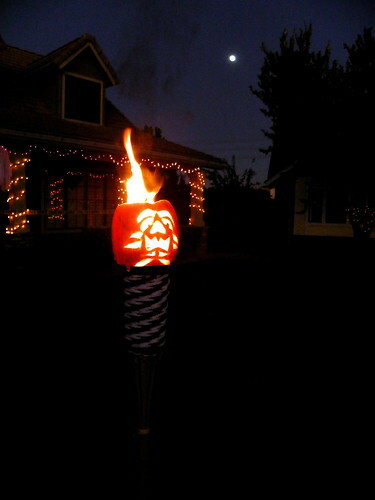 Okay.. so I was thinking, what could top last years *flaming pumpkin*, which I am doing again BTW. 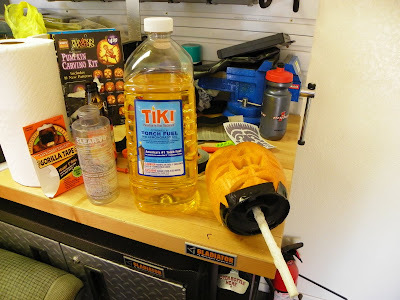 So after picking up a can of kerosene, I strolled down the lawn/garden aisle at Lowe's and noticed those 'tiki torches' Picked up a couple, and a jug of fuel for them and stopped by Whitfil Nursery for some smaller $1 pumpkins. 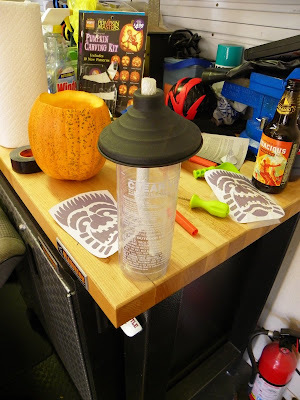 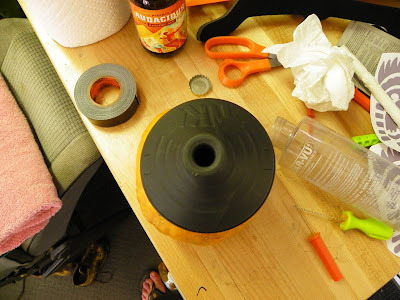 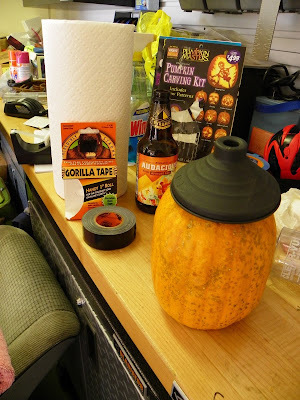 Some 'Gorilla Tape' (black gaffers tape, kinda like duct tape on steroids) and carving tools. 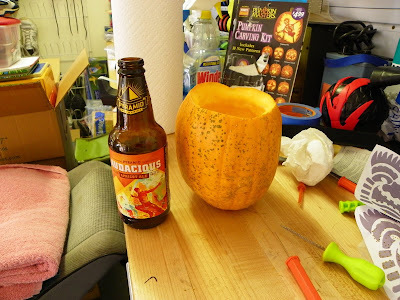 Now the steps. 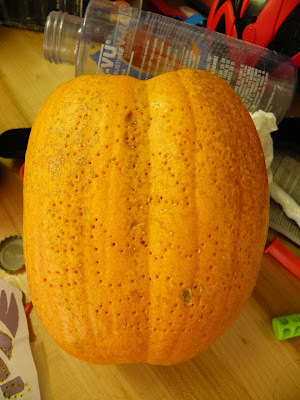 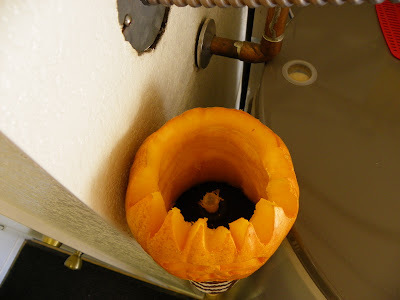 First place the image on the pumpkin, then trace the outline using a small tool to make 'holes' so you can connect the dots with your saw/cutting tool. 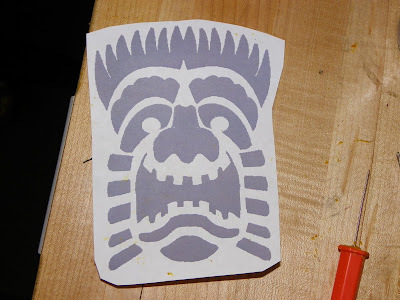 Next, connect the dots, then size up the opening on the bottom for the top of the tiki torch.